Plot Description: Gossipy street vendor Vilma found love (trouble!) Jay in this comedy directed by Borlaza! 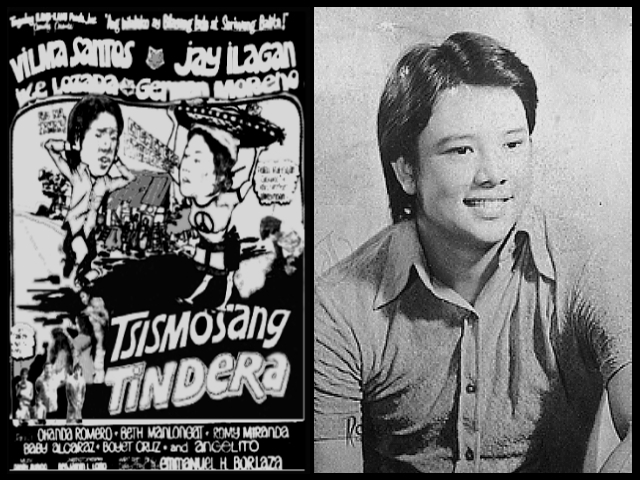 This entry was posted in Filmography and tagged Angelito, Baby Alcaraz, Beth Manlongat, Boyet Cruz, Chanda Romero, Danny Subido, Emmanuel H. Borlaza, Espiridion Laxa, Filmography: Tsismosang Tindera (1973), FILMS, German Moreno, Ike Lozada, Jay Ilagan, Romeo Miranda, Tsismosang Tindera (1973). Bookmark the permalink.